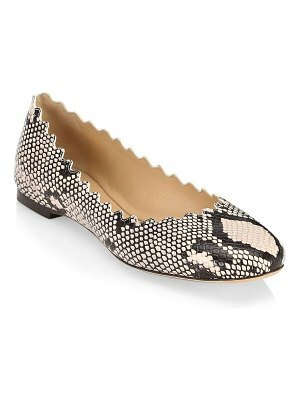 MICHAEL Michael Kors logo-print PVC ballerina flat with napa leather trim. 0.3" flat stacked heel. Round toe with golden buckle. Slip-on style. Padded footbed. Smooth outsole. "Pauline" is imported.